Looking for something awesome to do with your weekend? NYCityGuys has you covered with our Friday Feature! Every Friday, we’ll have a brand new recommendation– things to do, places to do, books to read, games to play, and more! This week’s Friday Feature is the first issue of a comic called Husk, written by Frederic L’Homme with art by Armaud Boudoiron. 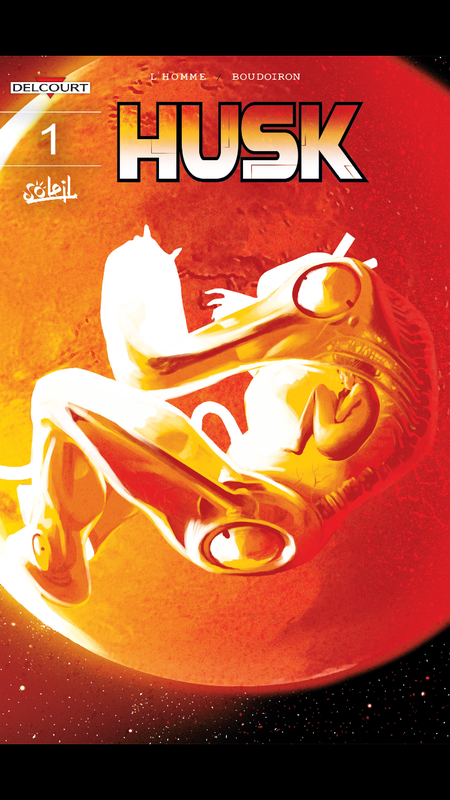 Available exclusively on ComiXology as a part of their partnership with French comic publisher Delcourt, Husk transports its readers to a futuristic society where biotech suits called Husks are used both privately and publicly. Husks are used by the military, security agencies, and by police pilots like the comic’s protagonist Sarah. But with the Husks’ parent company Arnold constantly pushing their technology further and further, pressing rapidly into matters like genetic engineering with the and cocky sense that their products are incorruptible, is disaster imminent? L’Homme certainly sows the seeds for it in this issue, introducing us to the idea that a hacker has infiltrated Arnold’s systems and tasking Police Commissioner Lenoir and her team with tracking the assailant down. Between this mysterious threat and an attack on Sarah, the good guys certainly have their hands full! Husk gets off to a good start in this issue, with L’Homme’s writing and Boudoiron’s art pairing brilliantly for a sci-fi one-two punch you won’t soon forget! Previous Entry New WWE POP! Figures Enter the Ring This September! Next Entry “Would You Kindly” Take A Look At These New Bioshock POP! Figures?